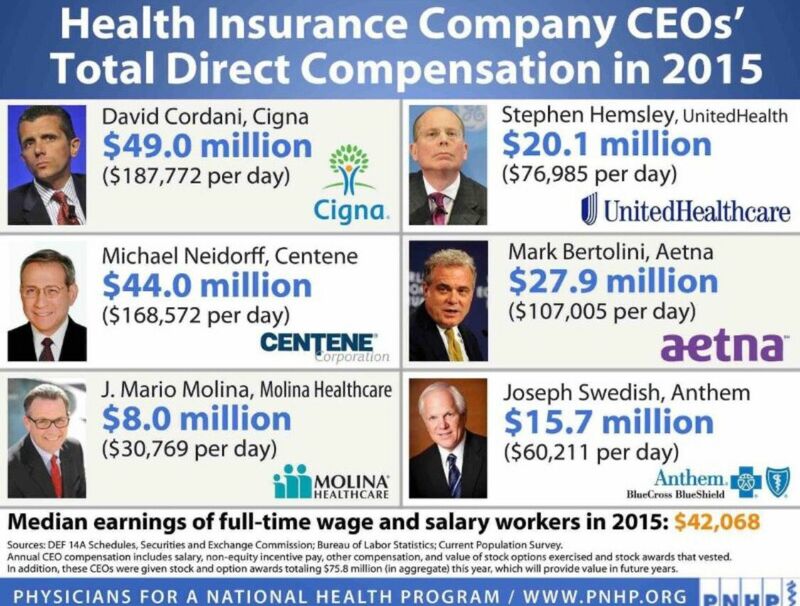 AMERICA'S HEALTH CARE SYSTEM IS IN CRISIS. Health care costs are rising faster than families can afford. Today, one-in-three Americans with health insurance say they struggle to afford their health insurance as health care costs soar.1 Insurance premiums have risen 20% in the last 5 years alone with the average premium now $18,142/year for a family of 3 and $6,435/year for individuals.2 Deductibles have risen even faster. The average deductible for the cheapest health plan on the ACA exchange is $12,393 for a family of 3 and $6,092 for individuals.4 Health care-related bankruptcies continue to rise. While healthcare costs would be even higher without ObamaCare, the status quo is hardly sustainable. Americans need relief now. As Republicans devise their own solution, two California Democrats, Ricardo Lara and Toni Atkins, have proposed their own: SB-562 - The Healthy Califronia Act. 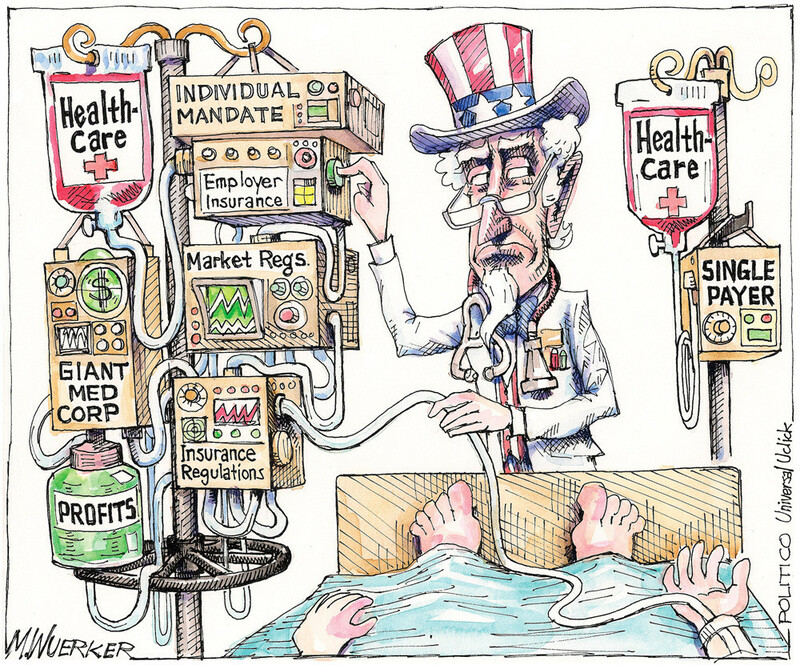 It’s time to end our expensive and inefficient health care system. It's time to eliminate the middle-man between patients and doctors. It's time to implement a single-payer health care system in California. Support SB-562: The Healthy California Act. The State Senate passed the bill (sponsored by the California Nurses Association) in May of 2017, sending it to the State Assembly. But the bill was abruptly put on hold by Assembly Speaker Anthony Rendon (D-Los Angeles), stating that the bill was "woefully incomplete." Leaders of the California Nurses Association were livid, calling the timing of the announcement "cowardly" and Rendon’s message "disingenuous." Based on his decision to block the legislation, Assemblymember Anthony Rendon is facing a challenger in the Nomvember 6 General Election. Maria Estrada, a progressive activist, is running to unseat Rendon. She is a supporter of single-payer healthcare. To get involved with the campaign, donate or sign-up to volunteer on our website: https://www.healthycaliforniaact.org/.